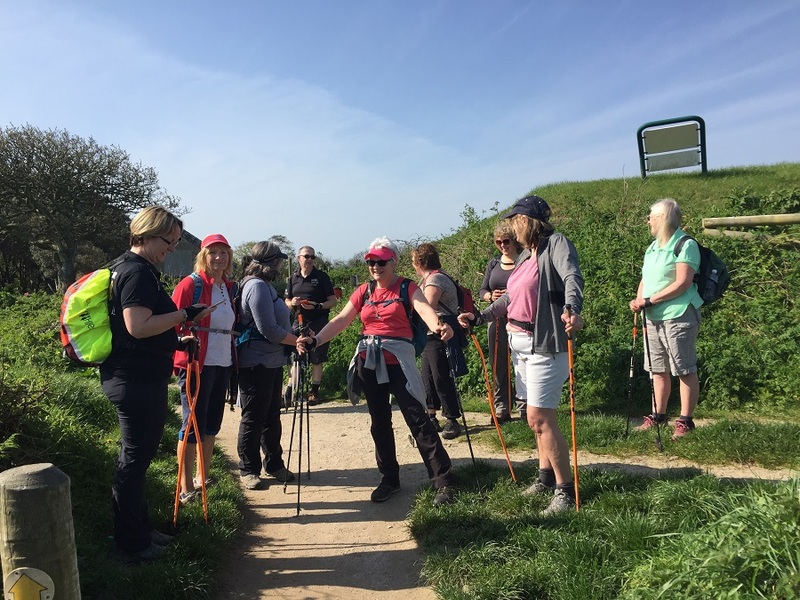 I joined my friends at Walk Kernow Nordic Walking for a delightful walk from Lelant to St Ives. We met at Lelant Saltings railway station car park and followed the coastline through Carbis Bay to St Ives. It was a gentle stroll of about four miles with lots to see and luckily it was in spring sunshine. I always feel that this part of our county in good weather could be any top world travel destination – the sea is a deep turquoise, skies a glorious blue and golden sand stretches as far as the eye can see. Perfect. 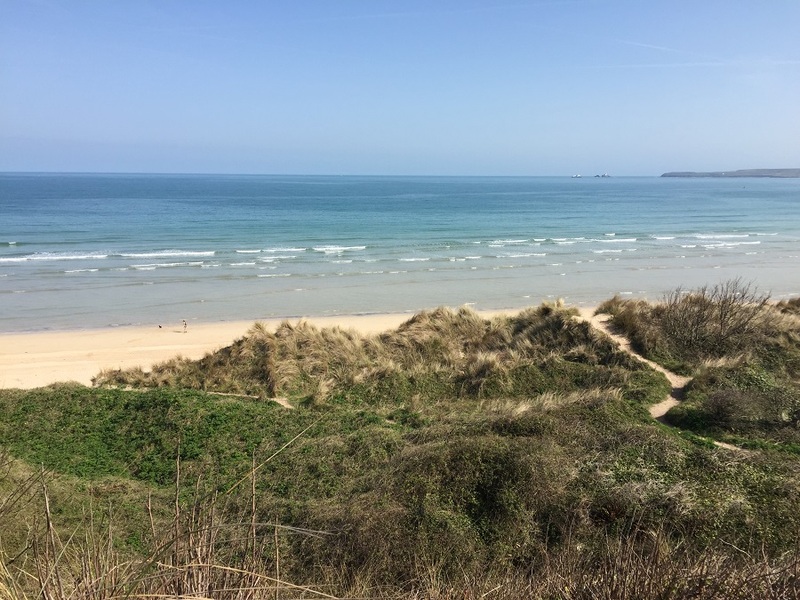 The views take in the magnificent Godrevy Head and lighthouse (immortalised By Virginia Woolf in her novel To the Lighthouse), the magnificent golden sands of Hayle Towans and the spectacular St Ives Bay and harbour. 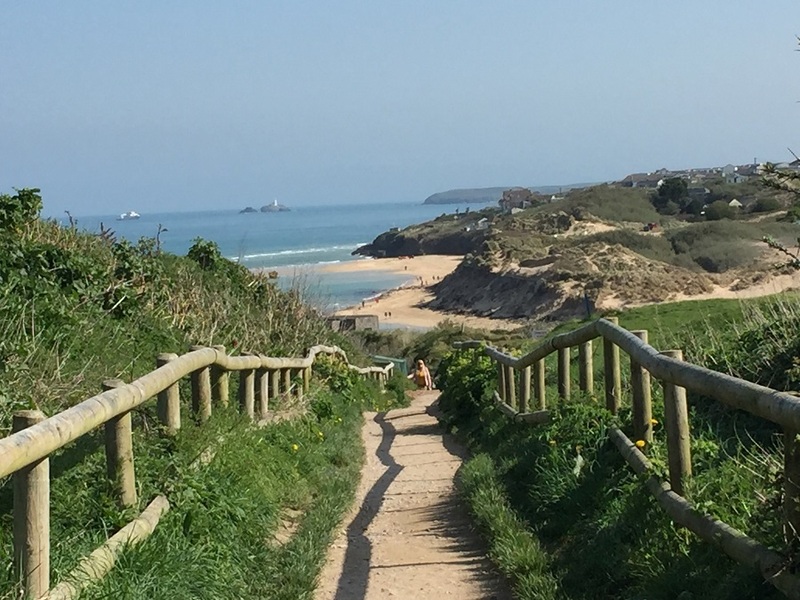 The walk follows the track of one of the most scenic railway lines in the world, the St Ives Bay Line. The little two-carriage train passes by every half an hour, ferrying passengers to and fro from the main line at St Erth. 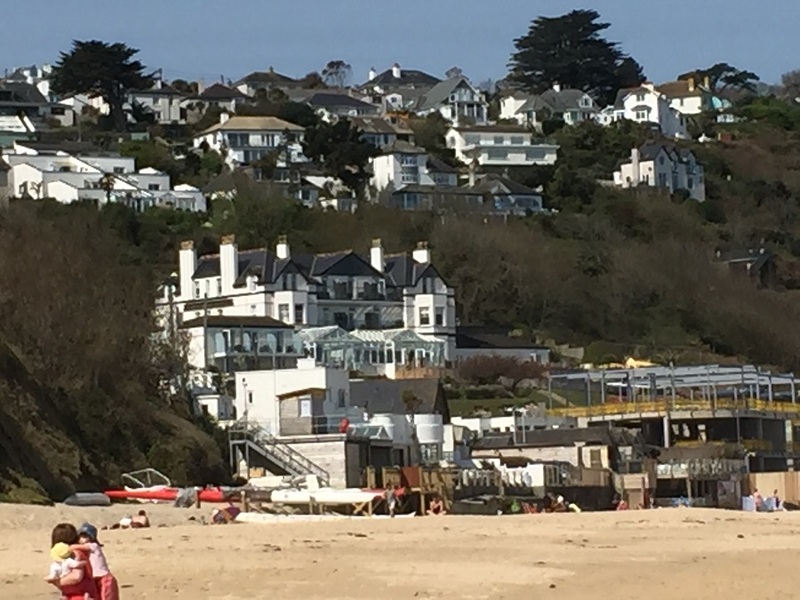 We popped in for a coffee at the beach hut in spectacular Carbis Bay and then wound our way through sub-tropical gardens on to Porthminster beach and the town where we stopped for lunch. The harbour was bustling as always but there is a great variety of restaurants and cafes and lots of quirky shops and galleries. A quick walk around the harbour takes you to Porthmeor beach and the Tate gallery. Some of us opted to walk back and others caught the train. It was a great day out and certainly one which could be easily undertaken by families with children. The town is notoriously difficult to park in so I always prefer leaving the car at Lelant. Planning a walking holiday in Cornwall? Located just off the A390 outside St Austell, Bosinver is ideally situated for exploring Cornwall. The South West Coast Path and the Clay Trails are close by, and there’s also a range of walks you can do right from our doorstep. We have a selection of luxury self-catering cottages ideal for couples or groups, and our sauna and heated indoor pool are perfect for relaxing after a day exploring the coast path.